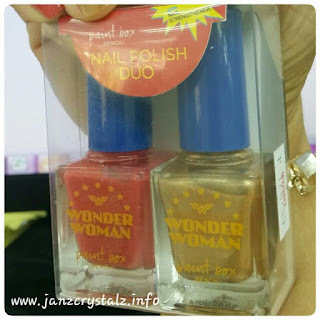 I happened to drop by at Bench the other day, checking out for the cotton undies that I always love when I spotted this cute nail polish duo near the counter. I don’t have plans on getting a new bottle of nail polish because, I am currently utilizing what I have in my stash that I have purchased a few months/years back when I was so addicted to nail art. But this duo is an exemption, a must try I suppose, hence, I included them in my purchase that day. My busy schedules these days, does not allow me to clean and paint my nails by myself. I had to get a few hours every two weeks to visit my favorite salon near the office. Joy, my favorite “manicurista”does the manicure and pedicure, and every time I visit the salon I bring with me my own nail polish for her to apply on my nails. 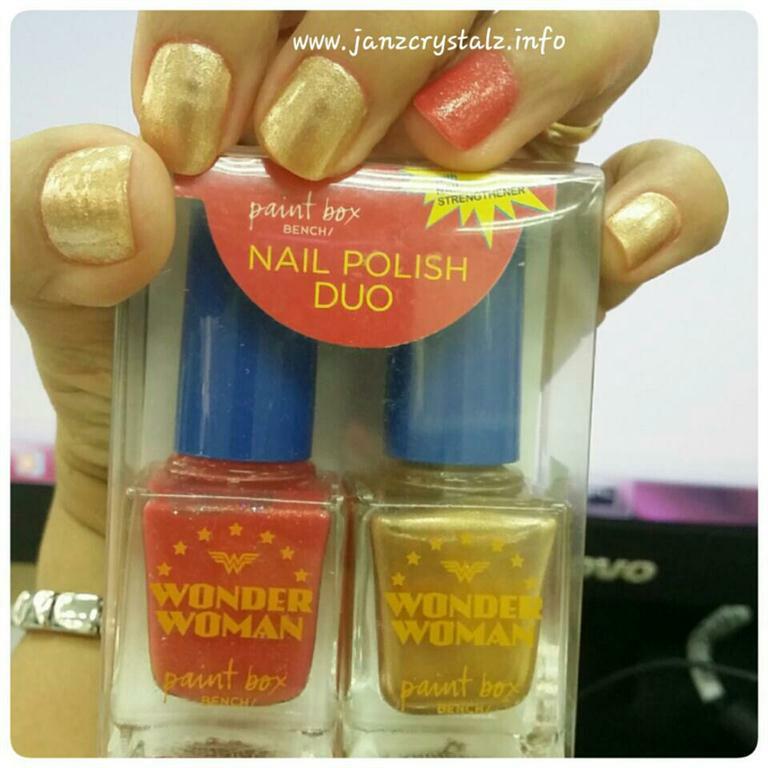 Since I just purchased a new set of nail polish from Bench, The Wonder Woman Nail Polish Duo – Warrior Princess, might as well try them on. 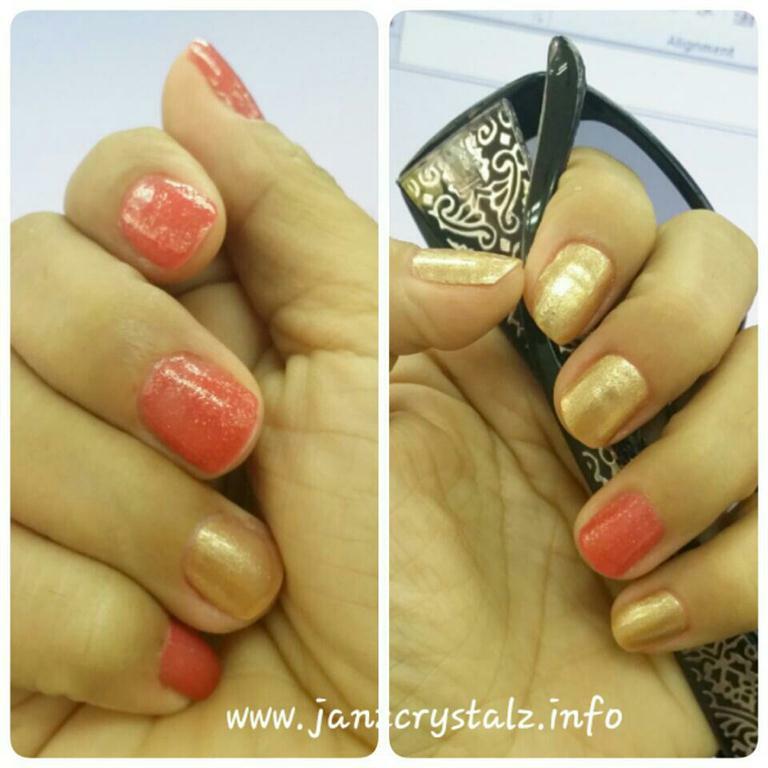 The duo consisted of a sweet shimmering pinkish hue and a lighter shade of gold with fine glittery polish. For me to wear the two colors at the same time, I opted for accent nails. The single to double coat is not enough to get full opacity, hence, I went for 3 coating to get this result. The Warrior Princess Duo looks pretty on my short trimmed nails. And I am sure to use this set from time to time.